Acetaminophen Use in Early Childhood: What’s the Evidence? Despite the overwhelming evidence against it, medical professionals are still recommending Tylenol (acetaminophen) or Panadol (paracetamol) for children, making it crucial for parents to educate themselves. Therefore, we are delighted today to have Duke University researcher, William Parker, Ph.D., summarizing the evidence on acetaminophen use in children for our readers. Please get this information into the hands of every parent and parent-to-be that you know! In March of 2017, clinicians and scientists from Duke, Harvard, and the University of Colorado published a critical review describing a litany of evidence suggesting that acetaminophen use from birth to early childhood may be responsible for a variety of neurodevelopmental problems in children, including many, or even most, cases of autism. The review by the Duke/Harvard/Colorado team is freely available online. It has also been summarized online, both in writing and in a half-hour lecture. The evidence is compelling. If acetaminophen were a modern drug, it would never have made it through the current drug approval process. It causes permanent neurological damage when given to baby laboratory animals, particularly males. That finding alone would be a show-stopper in the drug approval process today, but acetaminophen was grandfathered past the modern system of safeguards. No study has shown that acetaminophen is safe for neurodevelopment in human babies, and the Schultz study, described below, says that it is very dangerous. In addition, certain “anomalies” in the literature are consistent with the view idea that acetaminophen exposure after birth causes autism. Circumcision is associated with a more than 50% greater prevalence of autism, for example. It also seems that Cuba, a country without acetaminophen, has a very, very low rate of autism. More than a half dozen other independent factors also exist, and are easily found in the links above. If this hypothesis is correct, then humanity and modern medicine are facing an unmitigated disaster. But, if it is correct, then the epidemic of autism can be halted. This Duke/Harvard/Colorado hypothesis is truly a double-edged sword. The idea that acetaminophen use in babies and children is connected to the induction of autism is not new. Steve Schultz published the first paper on the topic, finding a 20-fold increase in regressive autism associated with acetaminophen use between 12 and 18 months (adjusted association odds ratio = 20.9, p = 0.031). Yes, a 20-fold increase, not a 20% increase. That paper will be a decade old in 2018, but it has been largely ignored. And a considerable amount of subsequent information, reviewed by the Duke/Harvard/Colorado team, has also been ignored. This article will review information about why the connection between autism and acetaminophen use during early childhood has been ignored. And then we will review options that parents and clinicians have. Why has the connection between acetaminophen use from birth to early childhood been ignored? There are a number of reasons why the connection between autism and acetaminophen use between birth and early childhood has been ignored. REASON #1: First, clinicians recognized as experts, including many pediatricians, say that acetaminophen is safe for infants, babies, and children. I evaluated the reason for this and wrote about it on GreenMedinfo. In that article, I point out that many true experts do exist, but they are typically not the ones being interviewed for articles that you can find online. I also describe my interactions with several widely quoted experts. I think you’ll find those interactions surprising. The bottom line is that it is physically impossible for physicians to know all of the latest research about every drug they administer. It’s really not their job. They rely on “standards of practice” for their day-to-day function, not their knowledge of the current literature. Modern medicine was never intended to be dependent on each physician’s ability to sort through the millions of papers that are published each year. It would be literally impossible for every physician to sort through them all. To put things in context, I and a team of other scientists and physicians, with the assistance of excellent interns, took literally months just to sort through and compile all of the literature dealing with the connection between acetaminophen use and neurodevelopmental disorders. REASON #2: A second reason that evidence connecting autism and acetaminophen use between birth and early childhood is ignored is that this hypothesis is just one among a flood of other hypotheses. Why give credence to this one? Many factors are associated with autism, and experts can’t even agree if an epidemic exists. We deal with this view in our original review and in summary online. 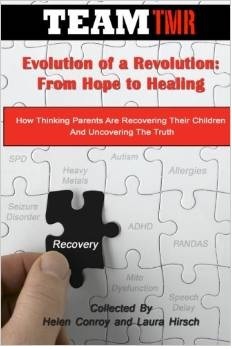 In a nutshell, the rate of autism truly does appear to be increasing dramatically, and it is associated with something called “oxidative stress.” This association with oxidative stress complicates the issue a bit because oxidative stress can be caused by many factors that are becoming more prevalent in modern society. But, at the same time, the association between autism and oxidative stress also simplifies the issue of autism dramatically because we know that oxidative stress causes difficulty with metabolism of acetaminophen. Thus, the connection between autism and acetaminophen exposure during early childhood in the presence of oxidative stress explains a vast array of observations in the field of autism research. 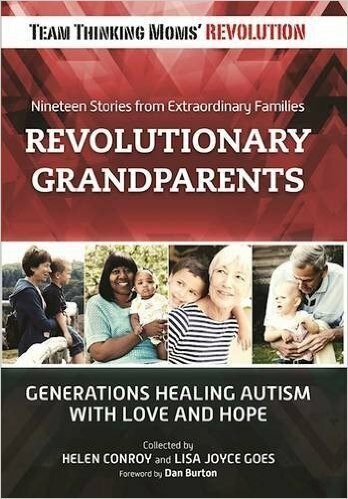 This includes the apparent beginning of the autism epidemic in the early 1980s, when the use of aspirin was associated with Reye’s syndrome. It was at this time that parents and pediatricians switched from using aspirin to using acetaminophen. REASON #3: A third reason that the connection between acetaminophen and autism is ignored is incredulity. Can it really be that simple? How is it even possible that we missed this? The answer is that, based on available evidence, it looks like this one truly did slip through the cracks. No massive conspiracy driven by pharmaceutical power is evident. Current advertising for acetaminophen only asserts that it is the most recommended by pediatricians (an undeniable truth). A litany of reasons why the autism/acetaminophen connection has slipped through the cracks could be cited. A partial list includes the following: (a) The current drug approval guidelines are extremely conservative, but do not apply to drugs that were in use before the guidelines were set. (b) Many individuals assumed that the danger was during pregnancy, and most studies have looked in that direction. (c) Many individuals and indeed most of the federal research funding were tied to analysis of molecular/genetic issues that now appear to be peripheral to the actual problem. (d) We naturally but incorrectly assume that something done by everybody must be safe and reliable. REASON #4: Some scientists, some government officials, and possibly some members of the media appear to be concerned that widespread panic might ensue if the numerous studies pointing at the connection between acetaminophen and autism were publicized. Sadly, this hypothetical concern has overridden the public’s right to know the available information. Parents and clinicians have the right to know the available data, even if some chaos does result. The evidence for harm is too strong to hide. What should parents and clinicians do? It seems we potentially have a disaster on our hands, and it seems quite plausible when we put together all of the facts. The question then is, what is to be done? We can’t provide medical recommendations, but we can emphasize some old recommendations that may have been forgotten. The idea is that a drug which has not been extensively tested for safety and which is known to shut down an important part of brain function (the control of fever production) should not be used frivolously in children with developing brains. Of course, no one has ever recommended that the drug be used frivolously. But yet it also seems likely that the drug is used quite often when not needed, and is often overused. Fevers are an important part of a child’s immune system, and protect them from infection. It’s important to keep in mind that mild (non-dangerous) fevers, generally below 105 °F (40.5 °C), are not in themselves dangerous. Acetaminophen is no longer recommended for use with vaccines. It’s not recommended for colds, despite the fact that it is found in some cold medicines. And it’s not generally recommended for normal teething. It is counterintuitive to risk exposure to a drug that blocks a basic biochemical function (synthesis of an important chemical) in the developing brain to help with a natural process (teething) that is older than humanity itself. Drink extra fluids, including water, diluted fruit juices, commercially prepared oral electrolyte solutions, gelatin [Jell-O], Popsicles, etc. If the fever is a symptom of a highly contagious disease (chickenpox or flu), keep the child away from other children, elderly people, or anyone else who may not be able to fight infection well, such as those undergoing cancer treatment. To sponge your child, place him in his regular bath (tub or baby bath), but put only 1 to 2 inches of tepid water (85–90 degrees Fahrenheit, or 29.4–32.2 degrees Celsius) in the basin. If you do not have a bath thermometer, test the water with the back of your hand or wrist. It should feel just slightly warm. Do not use cold water, since that will be uncomfortable and may cause shivering, which can raise his temperature. If your child starts to shiver, then the water is too cold. Shivering can make a fever worse; take your child out of the bath if he shivers. Seat your child in the water—it is more comfortable than lying down. Then, using a clean washcloth or sponge, spread a film of water over his trunk, arms, and legs. The water will evaporate and cool the body. Keep the room at about 75 degrees Fahrenheit (23.9 degrees Celsius), and continue sponging him until his temperature has reached an acceptable level. Never put rubbing alcohol in the water; it can be absorbed into the skin or inhaled, which can cause serious problems, such as coma. We know that, if indeed acetaminophen does induce neurological damage in babies and small children, then oxidative stress is a critical cofactor. With that in mind, it may be worthwhile to provide children with antioxidants in the event that acetaminophen is used. One potential source of antioxidants is in vitamin B9 (folate or folic acid) supplements for children. Supplementation with folate, one type of vitamin B, was found to be associated with less autism in children, but that study involved use during pregnancy, not early childhood. Another possibility, not mutually exclusive, is the use of N-acetylcysteine (NAC). This amino acid derivative is known to help avoid the toxic effects of acetaminophen exposure in adults, and it may even help some children with autism. But as good as it sounds, giving children antioxidants is not so simple. Controlled studies indicate that it is safe for children, but N-acetylcysteine is available primarily as a supplement for adults. Even supplements containing folate (vitamin B9) are not typically designed for children less than four years of age. To make matters more complex, the effects of passing these antioxidants thorough breast milk is unknown. There is so much we suspect, but much less that we know. We can’t conclusively say that children exposed to acetaminophen are at risk, and we simply don’t know if antioxidants will help if they are. It makes sense that the antioxidants mentioned above would help, and the use of supplemental antioxidants in the future may be an easy way to use acetaminophen while avoiding adverse side effects. But for now, without controlled studies, no recommendation can be made, and parents are left to discuss these issues with their physician. At present, parents and clinicians alike are left with decisions that must be made based on information that is not perfect. But parents and clinicians have the right to know the available information, and it is hoped that additional studies will soon shed light on these issues. Important note: The information contained in this article is not intended to provide medical advice regarding the use of antioxidant supplements with babies, infants and children. Always give children under the age of 18 dietary supplements under the supervision of a physician. In addition, the information contained in this article should not be used as a substitute for the medical care and advice of your pediatrician. Your pediatrician may recommend variations in treatment based on individual facts and circumstances. William Parker has studied biochemistry and immunology at Duke University since 1993. Best known for the discovery of the function of the human vermiform appendix (a safe-house for bacteria), William has spent the last 15 years looking at fundamental cultural causes of inflammation in Western societies. His work on “biota alteration”, a concept which evolved from the “hygiene hypothesis”, has led to the discovery that intestinal worms, called helminths, are very supportive of healthy neuropsychiatric function in adults and in children. Work includes collaborative studies with Staci Bilbo using laboratory animal models, and socio-medical studies with Janet Wilson evaluating the practices and outcomes of people self-treating with helminths. William has published more than 120 peer reviewed papers, including a number of widely acclaimed studies comparing the immune function of wild rats with that of their cleaner and more “Westernized” cousin, the laboratory rat. 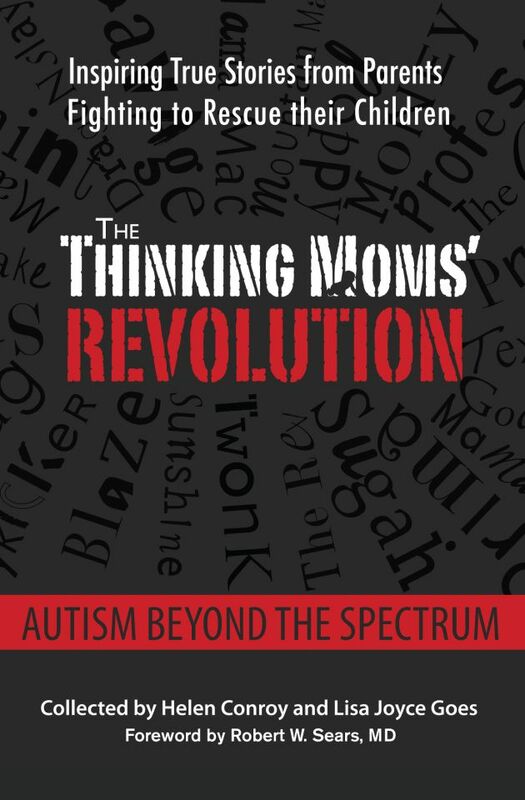 This entry was posted in Blogs by Thinking Moms' Revolution, William Parker and tagged Acetaminophen, autism, neurodevelopmental disorders, tylenol. Bookmark the permalink. 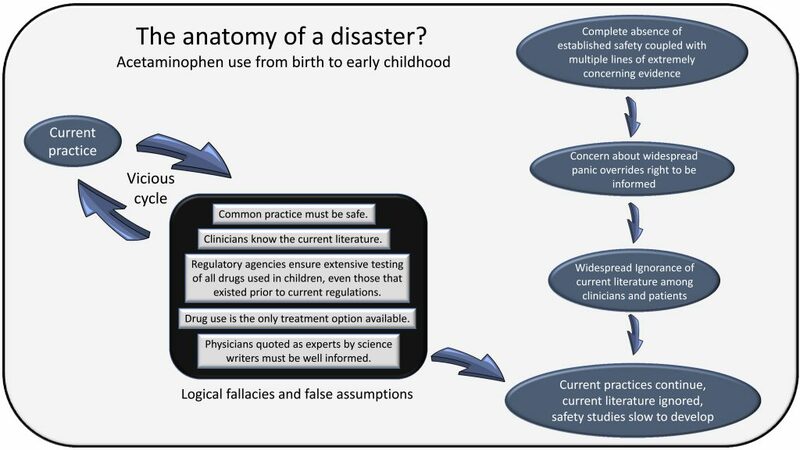 19 Responses to Acetaminophen Use in Early Childhood: What’s the Evidence? Vaccines are the main reason for autism…as the vaccine schedule has increased, the rate of autism has increased… adjuvants like aluminum and mercury are known neurotoxins… It is pathetic that the pharmaceutical industry with all its conflict of interest has its teeth into these poor children. Parents are powerless against the state and the pediatricians who aid and abet this practice. While we know there are problems with aluminum adjuvants and mercury-based preservatives (the science is extensive), as well as the immune activation caused by vaccines, that doesn’t mean that there aren’t ALSO big problems with other environmental exposures. I think the combination of vaccines with acetaminophen, especially when a child has a leaky gut (virtually all infants in the beginning and most people who are on or had a recent round of antibiotics), is probably exponentially increasing a child’s risk. This is especially true for any child with a genetic predisposition to toxicity, either through a low level of glutathione or a lower level of methylation, both of which are important in detoxification. Acetaminophen uses up glutathione rapidly, leaving the stores depleted. When they are already low, this can have dire consequences. My middle son had colic. I now believe that he had undiagnosed reflux. He screamed constantly and didn’t sleep more than 45 minutes at a time, around the clock, for the first 9 months of his life. Tylenol was the ONLY thing that would stop the screaming. His doctor assured me that as long as we followed the instructions on the bottle, it was safe. He got it at least once most days, when I was exhausted from rocking, walking, and listening to screaming. He’s also circumcised and received vitamin k, both of which I’ve learned may be linked with autism. He was late to talk and walk. He had night terrors and daily meltdowns (which are different from tantrums). At 5 years of age, he was diagnosed with high functioning autism. He has a lot of sensory difficulties and struggles with relating to other children. I wish I’d known about reflux or that his doctor would have picked it up. I’ve taken care of kids for 21 years, my profession is as an infant daycare teacher. My son spat up and screamed more than any other child I’ve ever cared for in all those years. I didn’t find out the symptoms of reflux until he was 2 and then it all clicked. I now try to talk to parents about reflux but sadly some don’t listen andthe child suffers. They tell me, “She/he is teething. Give Tylenol.” I’m not a doctor, what do I know? I’m just a mom who’s been there and recognize it when I see it. Is there a reason not to give ibuprofen (on occasion, e.g. at night when the child is sick and cannot sleep)? Did you read the article? It states the information you are asking for. Where is ibuprofen mentioned even once in the article? I read it 3 times and cannot find ibuprofen anywhere. You’re right, it doesn’t mention it. Ibuprofen has its own issues (especially for the liver), but for short-term use it is likely significantly safer than Tylenol. In addition, it is a much better fever reducer. It might be a good idea to support the liver when using it with some milk thistle. In the meantime though, a lot of us find that homeopathy is quite effective for a lot of situations where one might think of using ibuprofen. In the absence of an acute viral infection like the flu or chickenpox, you might even consider aspirin. As a nurse for the last 38 years who has studied polyethylene glycol for almost a decade, I am not surprised by this concerning information. In 2011 the FDA warned against POSSIBLE NEUROPSYCHIATRIC EVENTS related to MiraLAX. In 2012 The EMPIRE STATE CONSUMER PROJECT submitted a petition to the FDA regarding the dangers of MiraLAX (straight polyethylene glycol) in children. The top three anti-biotics prescribed to children ALL contain PEG. Damage to growing, vulnerable children from Big pHARMa will soon be a BIG STORY, as if this is not! FaceBook site PARENTS AGAINST MIRALAX now has almost 24,000 members. The top three antibiotics contain PEG? Why did I not know that. We warn people off Miralax here too. There have been mainstream articles on the dangers, and STILL pediatricians prescribe it long-term for small children like it’s harmless. Please name the top 3 Antibiotics? We are trying to get funding for a documentary to raise awareness and support for researching this hypothesis. Any help is much appreciated! This is an honest question! Please help me understand why we should eliminate the vaccine/autism connection. What I saw in the trailer makes me want to scream if it will deny that vaccines are quite implicated in Autism. Can we educate about Tylenol without letting vaccines off the hook? I am an ardent supporter of World Mercury project and there is way to much evidence. Please help me understand. Lea I don’t think any one is letting vaccines of the hook. There are hundreds of studies showing vaccines causing many different serious auto-immune diseases and other problems. Why just focus on Autism? I think you may get more people on your side if you let up on the Vaccine/autism question a bit and spend more time showing all the other serious problems. As you know, if you mention vaccines might cause autism, you immediately lose your audience. The average person and doctor is not ready for that one, you need to work up to it. Absolutely, but my comment only was in response to Jennifer about the documentary. Not on the article. Thank you.